Location, Location, Location! Water View from every room. 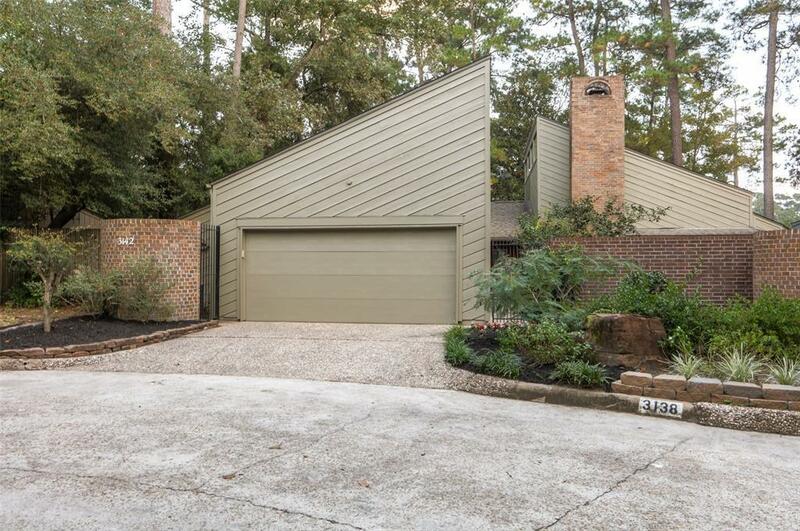 Lovely 1 story Patio Home located in the highly desirable patio homes of Kingwood Lakes. 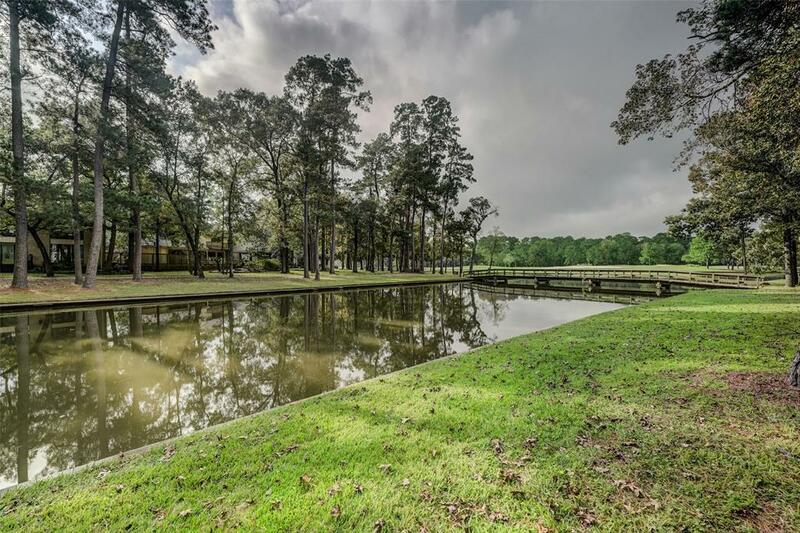 Open the front door to a beautiful view of the water. 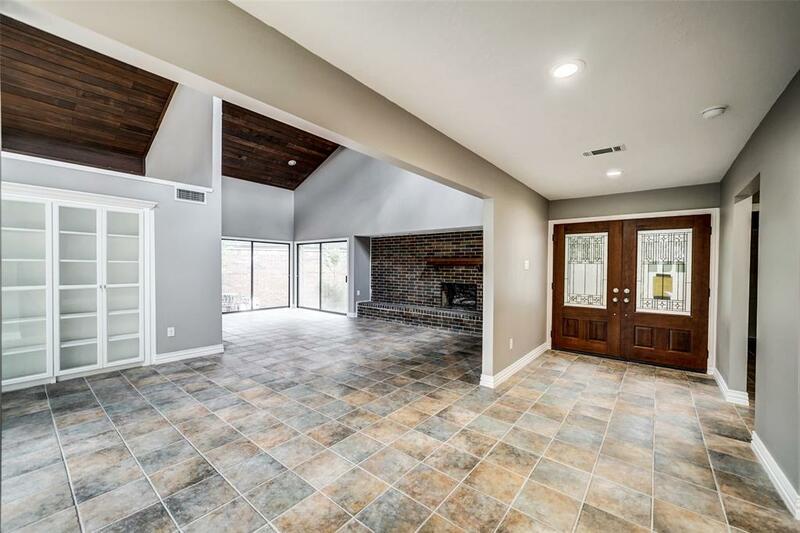 The large family room is open to the dining area with soaring architectural wood plank ceilings. The kitchen view features a circular wall of window that you will never want to leave and a perfect gathering place. The Master suite also features soaring ceilings, private doors to the back garden area and a large Master bath with his/her sinks. There is a lovely flex room that could be used as an secondary office, sitting area, work out room, private media area or anything you desire. The office up front could also double as a 3rd bedroom with a walk in closet. 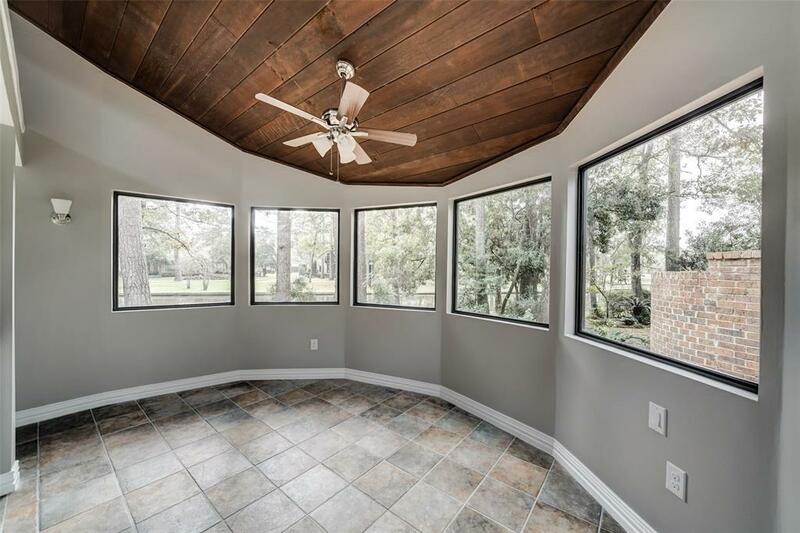 This home has been remodeled after Harvey.